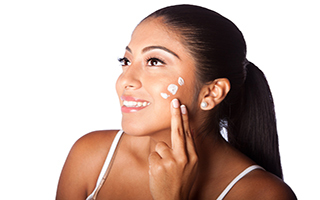 Exfoliation is an often neglected step in skin treatment. You probably know that you need to exfoliate, but the key to exfoliating effectively is balance. Not too hard, and not too soft. All you need is a light touch — and the right tools. Exfoliation not only immediately brightens the skin but aids in removing dead skin cells which are better off than on. Exfoliation buffs away dead skin cells to reveal the healthy, glowing cells underneath. You want to exfoliate regularly. For most skin types that means weekly, as your skin is constantly making new cells to replace the ones that have died. And the old, dead ones are the ones that have been hit with the most environmental damage, so they show the most signs of wear and tear. The "Harmless" Ingredients in Most Skin Care Products That Destroy Your Skin and Add Years to Your Appearance! Yet almost every skin care product (even expensive ones) contain them! 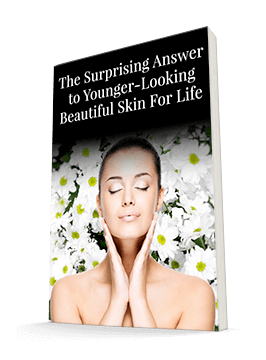 Our skin sheds dead cells naturally on its own, but as we age, this process slows down. That's why you'll help your skin look its best if you assist it with this process. But if you overdo it, you risk irritating your skin. That's why it's important to use more robust exfoliators, such as retinol, carefully. Use only as much as your skin can tolerate; many people do not use it every night. In fact, two — three times weekly is plenty for many women. Every so often, you can see your dermatologist or aesthetician for more intense exfoliation, such as microdermabrasion or a peel. But again, don't overdo these treatments. You don't want to outpace your skin's ability to replace the cells you're stripping away. For everyday use, I recommend the Système 41 Exfoliating Scrub. The operative word here is gentle. This scrub removes skin debris gently using minerals, not harsh chemicals. This resurfacing and revitalizing treatment utilizes magnesium and is free of aluminum oxide. Added papaya and pineapple extracts, biological enzymes, exfoliate by digesting debris. This results in softer skin, giving you the benefits of a microdermabrasion treatment in the convenience of your own home — and without the downtime that may come with the full procedure. Treat your skin kindly, and it will reward you with renewed radiant and glowing skin.